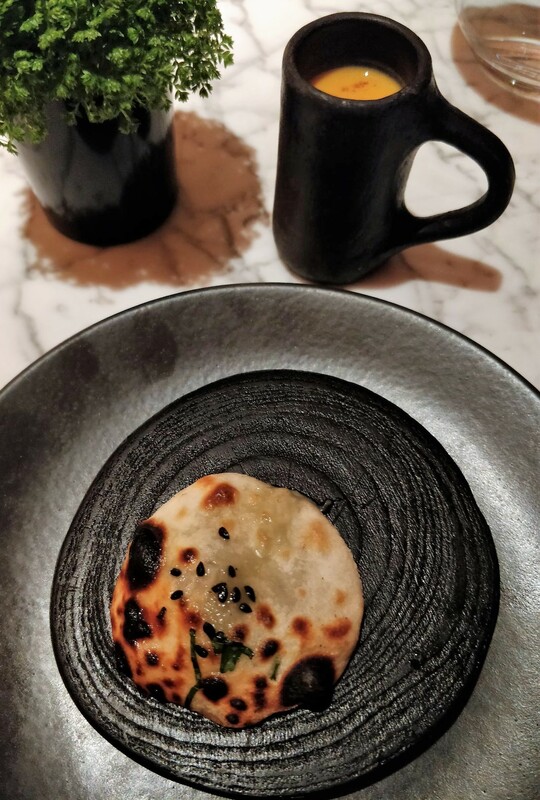 When Chef Manish Mehotra’s bite-sized blue cheese naan appeared on the menu at Indian Accent New Delhi, diners were anything but enthusiastic. After trying it, one even requested that it be removed it because the cheese had gone bad. A decade later, this palate-amusing nibble draws the crowds instead of deterring them. 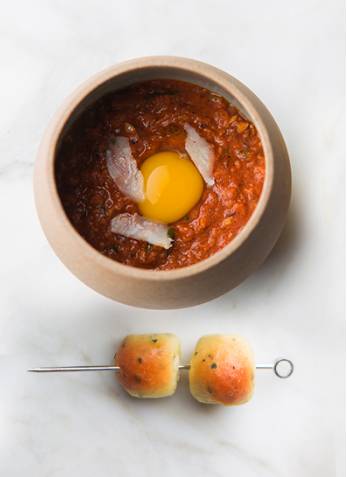 The New Delhi menu was reinvented for New York in 2011 and then given the ‘London look’ in 2017. 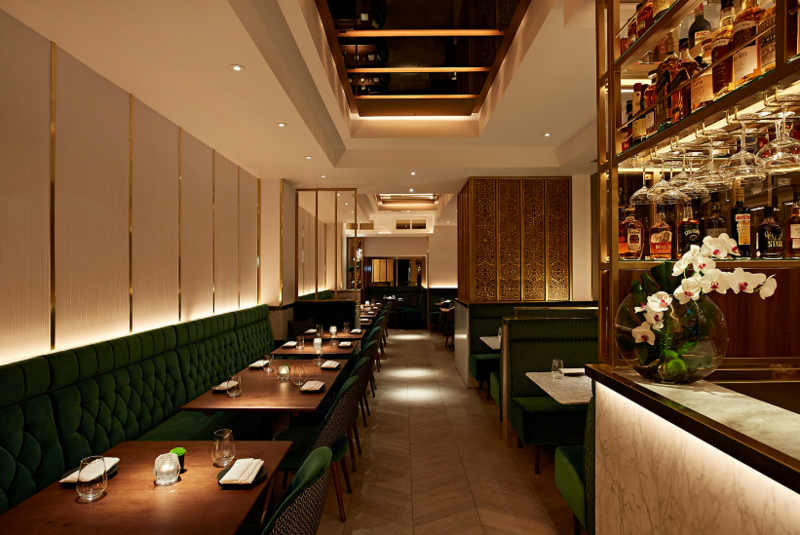 Mayfair may be home to some of the UK’s best Indian restaurants, including Michelin-starred neighbour Gymkhana, but Indian Accent London has settled in nicely. Emerald-green velvet upholstery framing marble tabletops, golden latticed screens and a herringbone floor give understated glamour without the attitude which typically accompanies it. This regal shade of green being my favourite, I’m already on side. Much like the décor, there are no false notes with the food. Between three of us, we make our way through the generous portions of the 3-course set lunch menu at £30. 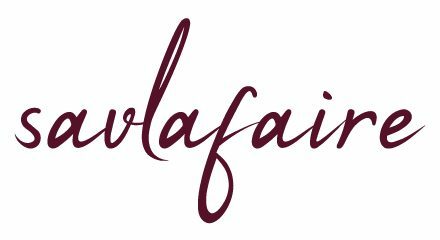 (A 2-course set menu at £25, Chef’s six-course Tasting Menu at £45 and à la carte options are also available). The blink-and-you-miss-it blue cheese naan and baby beaker of pumpkin and coconut shorba are worthy of their global cult-like status: the dairy does not overpower the dough, while the shorba glides down your throat like butter down a hot knife. 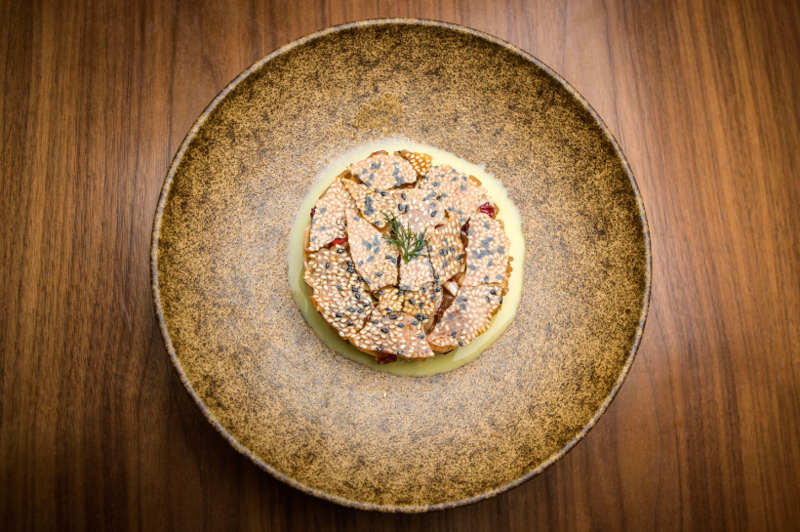 Soy kheema with quail egg, our only vegetarian dish, is flawlessly presented; mince has never looked so refined. Scoop it up with miniature chunks of lime leaf butter pao rolls, which greedily soak up the fenugreek- and mustard seed-spiked sauce. 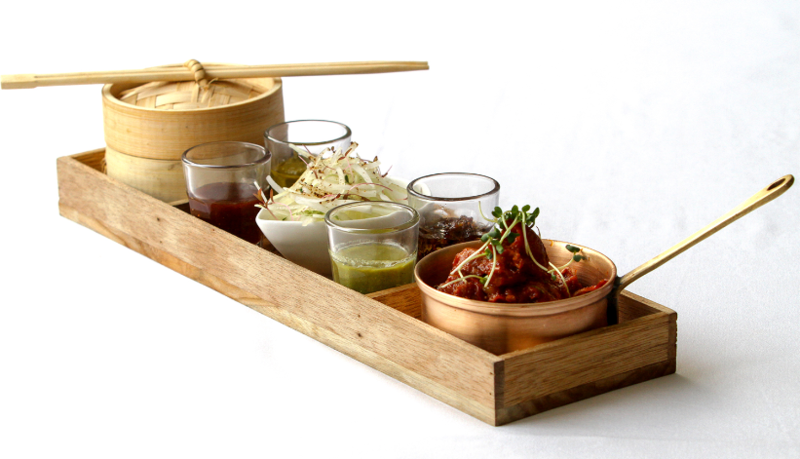 Starters also feature chili pork phulka and meetha achaar ribs. Served like tacos, the hot pork may wriggle out of its shell onto your fingers and then into your palms, but you will not let a single morsel go to waste. The same goes for the ribs – as tender as a ripe peach after being boiled in coconut – and their sugary, sticky sundried mango marinade. Forget fried chicken, this is what gets me licking my fingers. Cutlery makes a brief cameo for my pescatarian plate: seared scallops, rava prawns and malvani dried shrimp rice. The main ingredients are handled as delicately as they deserve, resulting in sweet succulence. Texture comes in the form of crispy, semolina-dusted pan-fried prawns and soft rice; a well-balanced dish. Ghee roast lamb with roomali roti pancakes is an equally accomplished affair, its presentation mirroring that of the Peking duck which inspired it: shredded meat, handkerchief-thin rotis, cucumber sticks and four chutneys. From the accompaniments, we choose black dairy dal and naan and coaster-sized butter chicken and paneer makhni kulchas. Hyperbole be damned, this is simply the most exquisite black dal I have tasted: rich, creamy and thick. This unctuous item should be pimped up and promoted to the mains menu. As should the butter chicken kulcha, which we struggle to share. We also order the wild mushroom and smoked bacon versions (black pudding was not on the menu, sadly); unique and intense, but also slightly greasy. Desserts continue the Indian Accent London take on popular dishes. 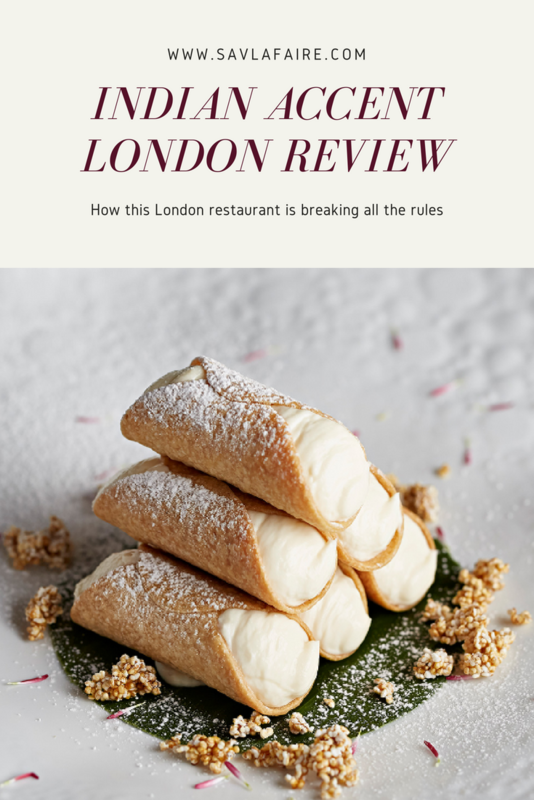 Italian favourite cannoli is filled with sweet mishti doi yoghurt instead of ricotta, a bite of which recalls memories of my grandmother straining the mix in muslin cloths in my childhood kitchen. Dodi barfi treacle tart with vanilla ice cream and meethe chawal sweet rice and barberries reinterpret British classics, adding exotic flourishes to confound the senses. A word of warning about the rice: it’s more al dente and chewy than soft and gentle, so it may not appeal to some. Ditto regarding the tart barberries. 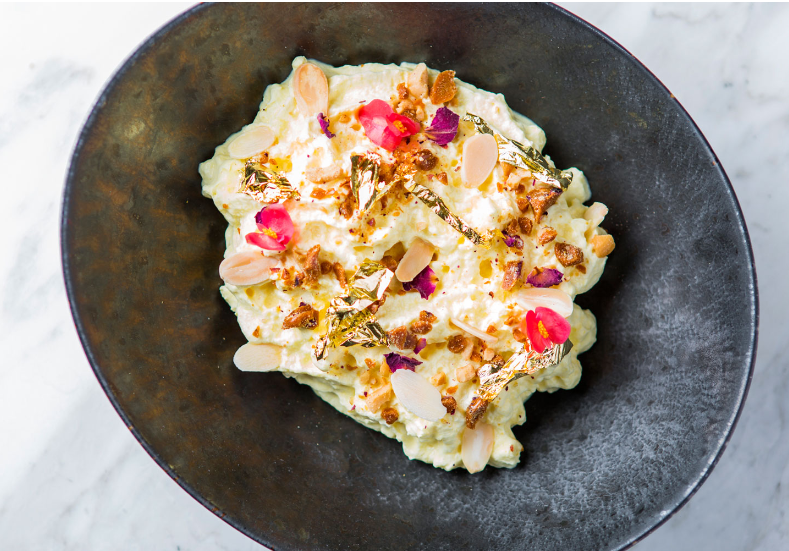 Unless you are allergic to almonds or anti-saffron, the makhan malai is guaranteed to win the desserts round. Saffron-infused milk is aerated to resemble a deity-like dome and adorned with rose petals, jaggery brittle and 24-carat gold; edible offerings to the God of Luxury. Indian Accent London has been unfairly compared to local curry houses by questionable critics, and if this is what you prefer, then you will be sorely disappointed. If, however, you want to embrace reinvention and creativity, this is fusion at its finest. Budget: £35-40pp (including 12.5% service; excluding drinks).